Previous generations used to purchase a home and stay in it for life. Nowadays, the average person moves more than 11 times over their lifetime, which helps build up a fair amount of knowledge about the home-selling process. With all that experience, it's certainly understandable for a person to wonder if it's still really necessary to hire a real estate agent to oversee the process. 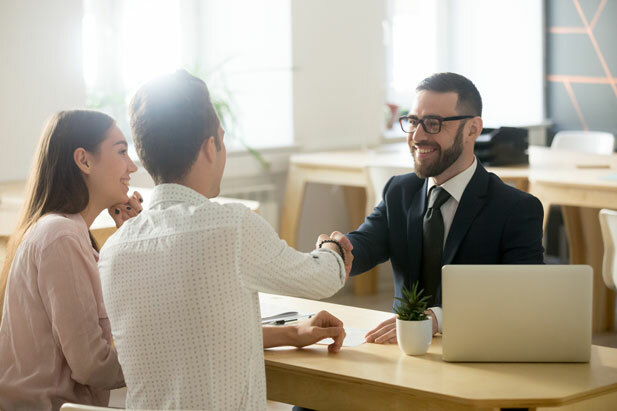 Although it's not required, almost 90% of people who sell their homes today hire an agent to help them, from which they benefit in a lot of ways. Below are several reasons to work with a REALTOR®. Your Real Estate Agent Has First-Hand Knowledge Of The Present Market. This way, you have assistance in choosing a selling price that will help you move fast, while still getting the most you can for your home. Pricing a home accurately from the start is imperative, as one that's too low may sell quickly, but will short the owner cash. One that's overpriced will likely sit on the market for quite some time, which sends the signal to later buyers that there's something wrong with the home. Sadly, even if you adjust the price later, the stigma may still stick, and potential buyers will continue to overlook the home. Your Agent Is A Marketing Pro. The biggest thing that will lead to a sale is getting the word out. An agent knows where buyers are looking, so the home gets listed in the right places. Contacts are also important, and having an ear directly in the industry means that your agent can make sure your home is the one people hear about when it meets a buyer's guidelines. There are many ways to market your home for sale. If Your Home Needs A Little Extra Selling Power, Your Agent Knows How To Get It. Some people jump in headfirst making renovations in preparation for a sale, though a lot of them are unnecessary and will not warrant you the return that you expect. Your agent can give you tips on what to tweak around the home to help ensure you get the best possible return on your investment. Your Agent Will Help You Negotiate. When the offers start rolling in, it's helpful to have someone familiar with current market trends to evaluate each offer. It can really take the pressure off you to have an expert give advice that can help you make the most informed decisions possible and determine which offers you can feel confident about passing up. Moreover, your agent can propose a counteroffer when appropriate, to make the process as stress-free as possible. After An Agreement Is Reached, Your Real Estate Agent Can Help You Close The Deal. Whether last-minute negotiations are necessary or there's just a mound of paperwork to process, your agent will make sure things go as close to plan as possible. They will introduce you to many different entities who can help guarantee a successful sale. Last But Not Least, You Gain Representation. Sometimes people forego bringing in a pro, thinking it will save them money. Unfortunately, without knowledge of the present market and regulations, it ends up costing them more in the end. Your agent is your advocate who works exclusively for you, so the process will be as stress-free and lucrative as possible for you. This is why you want to work with a REALTOR®.